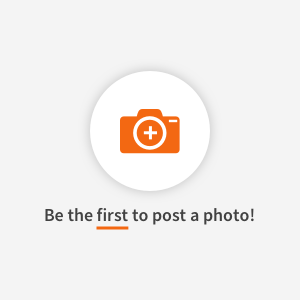 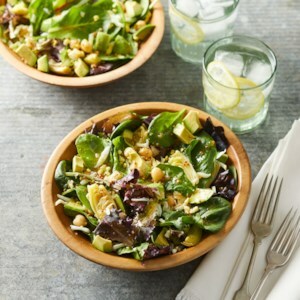 Find healthy, delicious chickpea salad recipes from the food and nutrition experts at EatingWell. 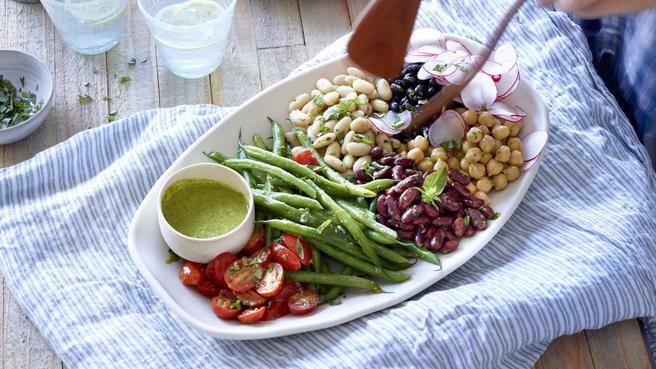 See how to make this easy bean salad recipe. 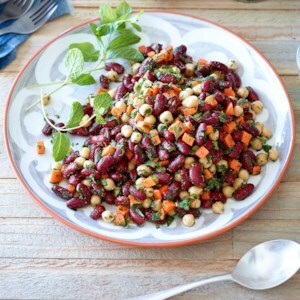 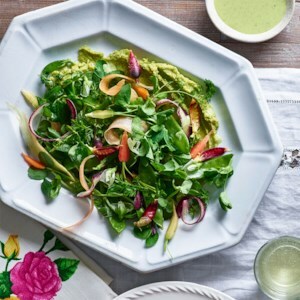 A basil vinaigrette brightens up canned beans and fresh vegetables for a healthy addition to your meal. 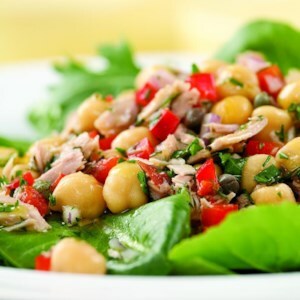 Capers, red onion and fresh herbs give canned tuna and beans a light, fresh taste. 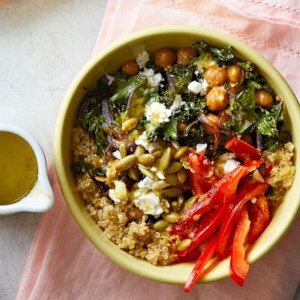 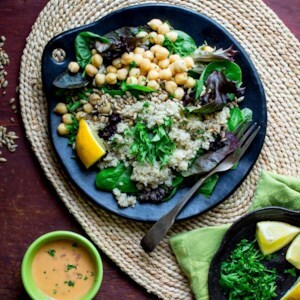 Our favorite part of these vegetarian grain bowls is the tangy lemon vinaigrette, which ties together a satisfying combo of quinoa, toasted pumpkin seeds, and roasted chickpeas and kale. 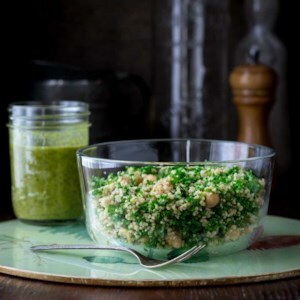 Whip them up for easy meal-prep lunches or a healthy and satisfying dinner. 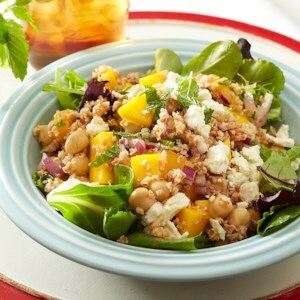 Fresh mint, chopped mango and feta cheese are the prefect additions to this tasty side dish. 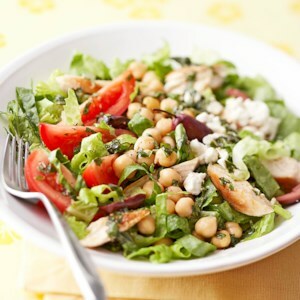 The next time you grill or broil chicken breasts, cook some extra pieces to use in this salad. 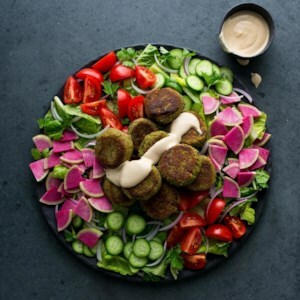 Or if you prefer, pick up some packaged cooked chicken breast strips or cubes at the grocery store. 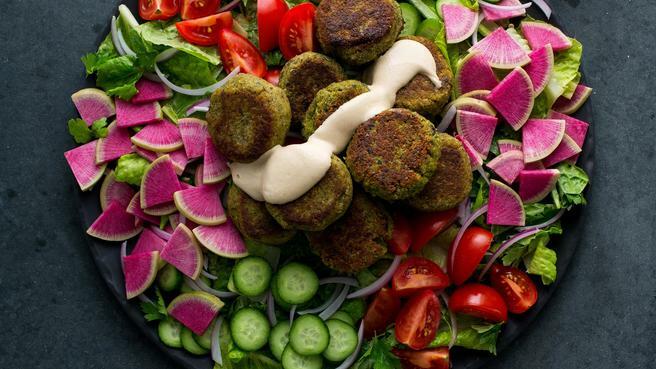 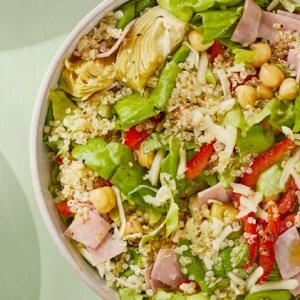 This power salad will keep you fueled for hours, thanks to 26 grams of protein and 8 grams of fiber. 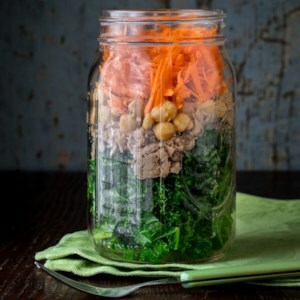 Tossing the dressing and kale, and then letting it stand in the jar, softens it enough so you don't need to massage or cook it to make it tender. 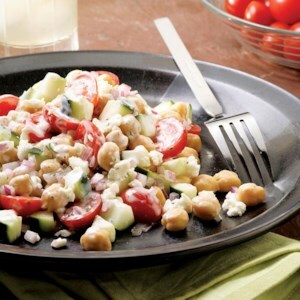 Soak chickpeas in Buffalo seasoning before roasting in a hot oven for delicious tang and crunch. 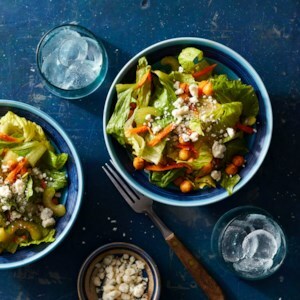 This crispy topping is the perfect way to add bite to a satisfying salad with celery, carrots and blue cheese. 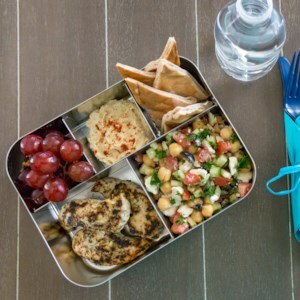 Travel to the Mediterranean over your lunch break with this healthy bento box idea that combines Greek salad, hummus, pita and more for a satisfying work lunch. 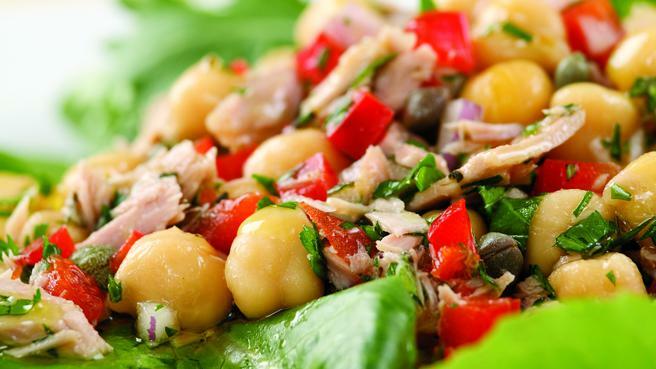 Packed with protein and fiber, this tuna and bean salad is ready in a flash. 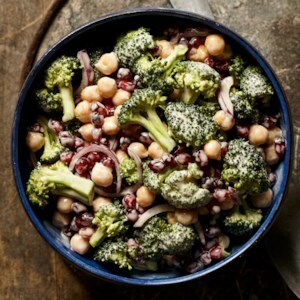 For an extra kick, add a pinch of crushed red pepper or cayenne. 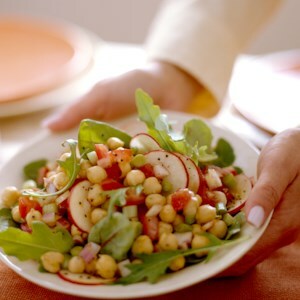 Here's an example of everyday simplicity taken to elegant heights--a lovely chickpea and vegetable salad, topped with warm strips of lamb. 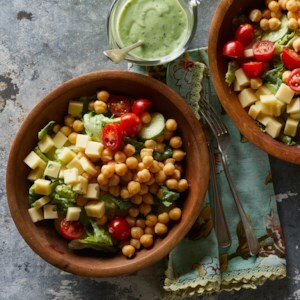 Hearty yet light for a warm night, this supper could be followed up with Iced Lychees.